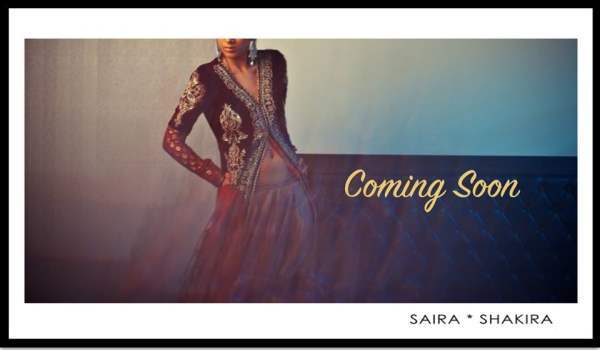 Luxury Pret Bridal Formal Wear collection is by Saira Shakira for summer season bridal event wearing check out all the dress types and make your summer season more elegant in style. 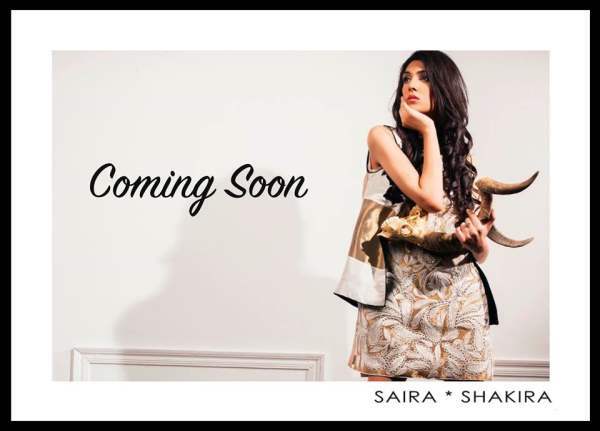 Saira Shakira is the fashion designer duo which are famous for their luxury formal wears some days back they have launched summer season bridal formal dresses known as Le Ceil main focus of designers are on vintage glamour looks in modern styles. 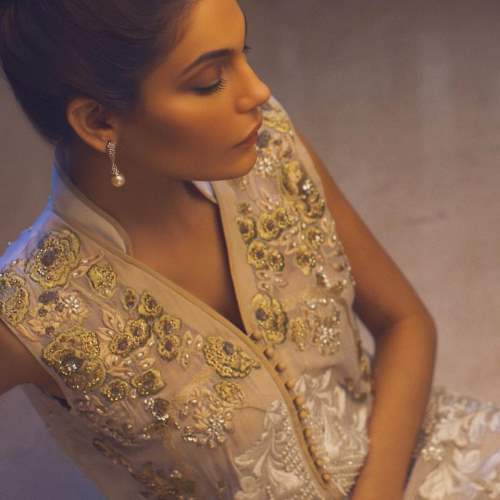 They came into the seen on PFDC fashion week some years ago where they have shown their luxury bridal formal collection and now launching more elegant styles of formals that every bride will love to have on themselves.This collection will be their step ahead in the Pakistani fashion industry. Because they are now showing serious designs that are worth seeing maybe some of you haven;t heard their name before but now you can see their latest bridal formal wear which is perfect to wear in the heat days of this season.When ever bride is choosing her dress she is confused what to wear as these are after wedding dresses so there will be no problem choosing your dress type. Designers have used eastern party wear dress types with modern touch with some luxury work to make the glamour collection that you should wear on special events.If you were married recently then its the best time to shop some new clothing as you still a bride because you are newly married you must have to attend some events. Friends and family who were unable to attend your marriage ceremony will invite you to their houses for dinner and other events for these types of situations you should always wear that has some luxury elements in it.Now there are many fashion designers who are designing luxury pret dresses for the brides. This is the new label with many good things they have used beautiful colors with jeweled embroidery and golden thread work in some areas lace designs are applied.Modern silhouettes lace patterns and silver,golden thread work is making this collection more elegant and must buy. Every dress is different in this collection to give variety to the customers they can choose different modern dress designs for their styling in the summer season.This summer season there are lots of religious events coming on these events many family have dinner parties. 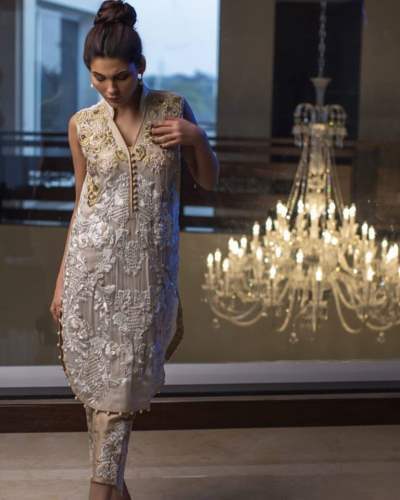 So you should be ready in advance for these kind of events as a new bride and Luxury Pret Bridal Formal Wear is perfect for every occasion in the summer season lets see some of the dress designs from the collection which is now available in the market at selected stores.